Windows 8 is the latest version of the Microsoft’s iconic operating systems. According to Microsoft, it is actually the basis of a fresh all-encompassing ecosystem whose design is intended to make one stick with Windows for laptops, PCs, tablets and phones. 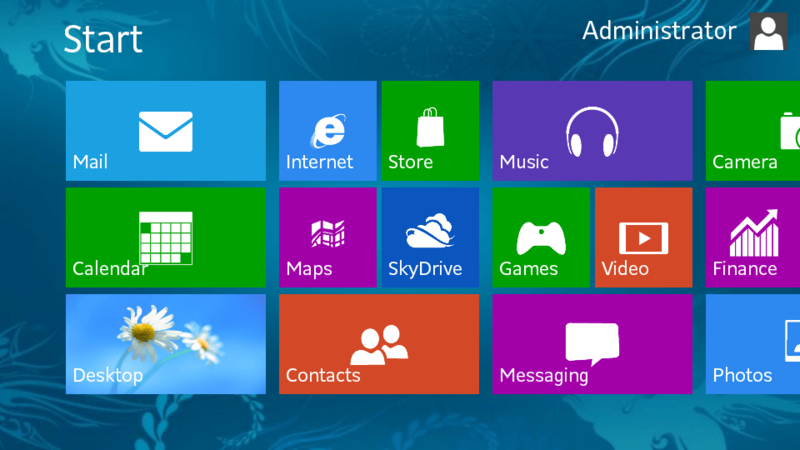 There are many new additions in Windows 8 as well as improvements on whatever has been seen in the past releases. Here are some new features of Windows 8. It is Internet Explorer’s latest version with two interfaces that are separate: the desktop’s standard version and a touch-friendly version. You will find the Adobe Flash Player inbuilt in the OS plus sites like YouTube working outside the box. A nice and invisible addition within IE10 is its “do not track” signals, which by default, it sends to sites through dedicated servers asking them to never track your movements. This feature was added to Internet Explorer by the beginning of last year. However, it comes with this newest Windows version by default. This is not for a specific purpose but something worth enjoying. It is twigged by Microsoft that it saves a considerable time for booting by conveniently saving the current Windows data within the hard drive before a shutdown. So instead of doing a digital equivalent to reinvent the wheel during a startup, this Windows version can pick up from wherever it left off through the loading of the hard drive stored values back in the present Windows engine. This additional speed benefits you in case you are using a less expensive hard disk drive or even a solid state drive that is super-fast. Currently, cloud computing involves a bit of extra efforts and work. Windows 8 incorporates the cloud storage via SkyDrive. It offers 7GB of free storage, which can prove quite useful to you and others. Its management is via the Windows Live account though you will as well find an inbuilt application of the new user interface that Windows 8 uses. If you often move large data, Windows 8′s native support for USB 3.0 could be very resourceful to you. This is a great thing within the peripheral ports as it can transfer data 10 times faster than USB 2.0. Moreover, USB 3.0 is often backward-compatible, meaning all USB 2.0 and USB 1.0 devices can still plug in without a hitch and work as effectively as before. Windows 8 has a better support for the USB 3.0 drives than Windows 7. An improved power management is an example of such support. A computer supporting USB 3.0 ports would definitely benefit from this. The life of the battery would improve a little bit if used on the laptops. In case you have ever used a tablet or smartphone, then you have possibly seen the option for System reset which allows for deletion of all personal data and information from your phone’s memory. With Windows set for portable era, Microsoft has included this amazing feature in Windows 8. It can be accessed from a Windows 8 interface. However, always remember to back up all personal files and data before putting it to use.